Guitar legend Robben Ford and special guest Sonny Landreth conduct Dojo Guitar Camp — a privileged-access experience to a once-in-a-lifetime gathering. Few guitarists have simultaneously shattered the boundaries of blues guitar with such eloquence and melodic invention as Robben Ford and slide guitar visionary Sonny Landreth. And from August 4-8, at the elegantly rustic Full Moon Resort, in the Catskill Forest Preserve (about 30 miles west of Woodstock), guitar enthusiasts and guitarists of all skill levels will get a once in a lifetime opportunity to get inside the minds and see the hands up close of these music icons. Registration is limited to 100 guests to ensure an intimate, immersive experience. The Traveling Dojo Guitar Camp enrollment is open to guitar buffs and guitarists of all levels. 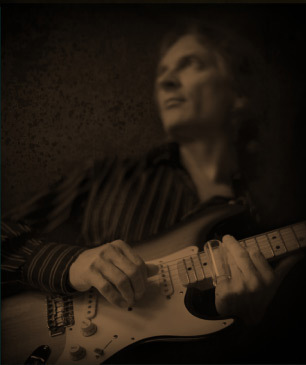 Participants will enjoy a fully immersive learning experience organized by Robben Ford. In addition to his robust profile as a world-class musician, Ford is a highly sought-after educator with a series of acclaimed and groundbreaking interactive videos presented on a variety of formats including disks, downloads and mobile apps. This Traveling Dojo Guitar Camp will include master classes, one-on-one sessions, landmark live performances with sit-in opportunities, and all-inclusive meal options and lodging accommodations. In addition to Ford and Landreth, Ford’s ace rhythm section (Brian Allen bass and Wes Little drums) will conduct master classes on groove, time, and pocket, and Ford’s friend and trusted guitar tech, Rick Wheeler, a jazz virtuoso, will also conduct sessions on jazz guitar.